Last winter, my son Dominic had fevers for about 14 days straight. We were told that it was viral, so we kept on it and also switch to a new doctor at Akron Children’s – Dr. (Jackie) Lickliter in the Boardman office. He was having severe head pain that was also affecting his vision. My husband and I spotted he was writing above the line on his homework, too. 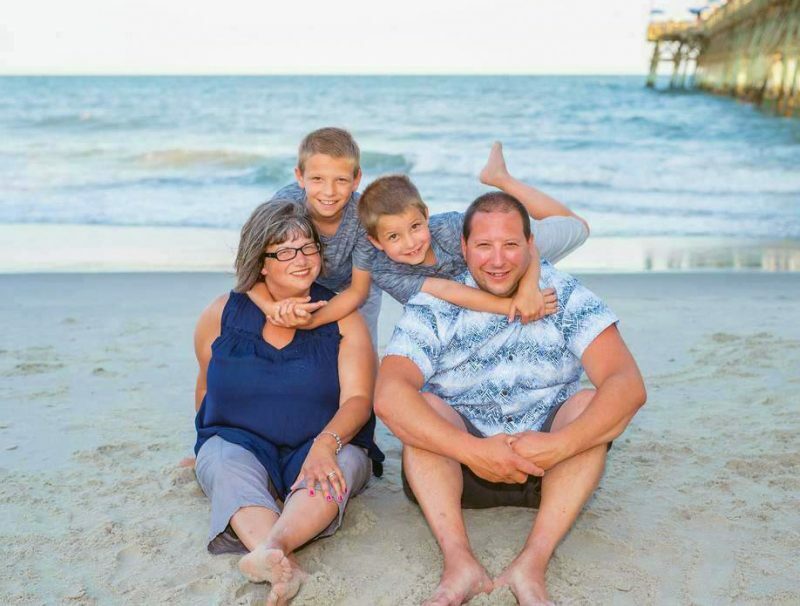 He was in and out of the hospital beginning in February, but a sedation MRI scan showed a sinus infection went to his brain. 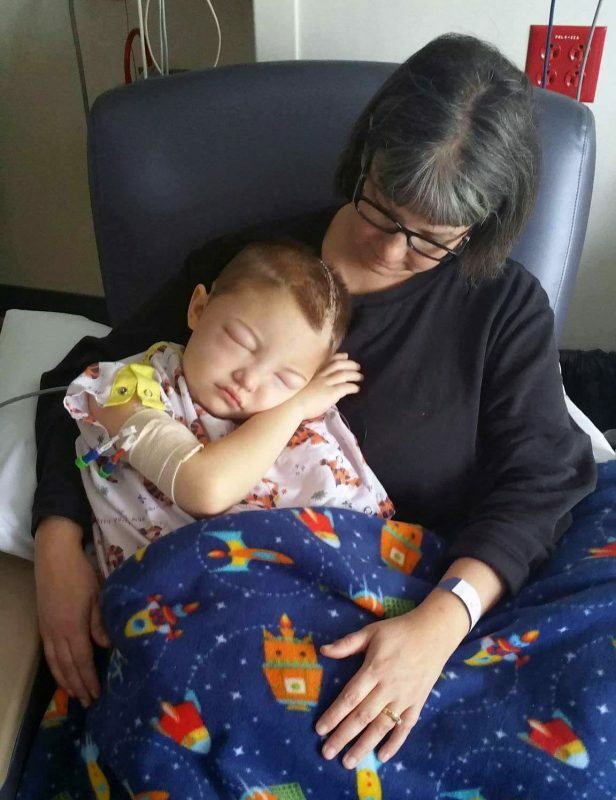 Dominic had emergency brain surgery for 5.5 hours on March 7. Dr. (Gwyneth) Hughes did the surgery and was amazing! He got 62 staples in his head and a drain tube, and then 8 days later he came home with IV antibiotics and home care. Dominic loved wearing his new Super D cape from Capes4heros. 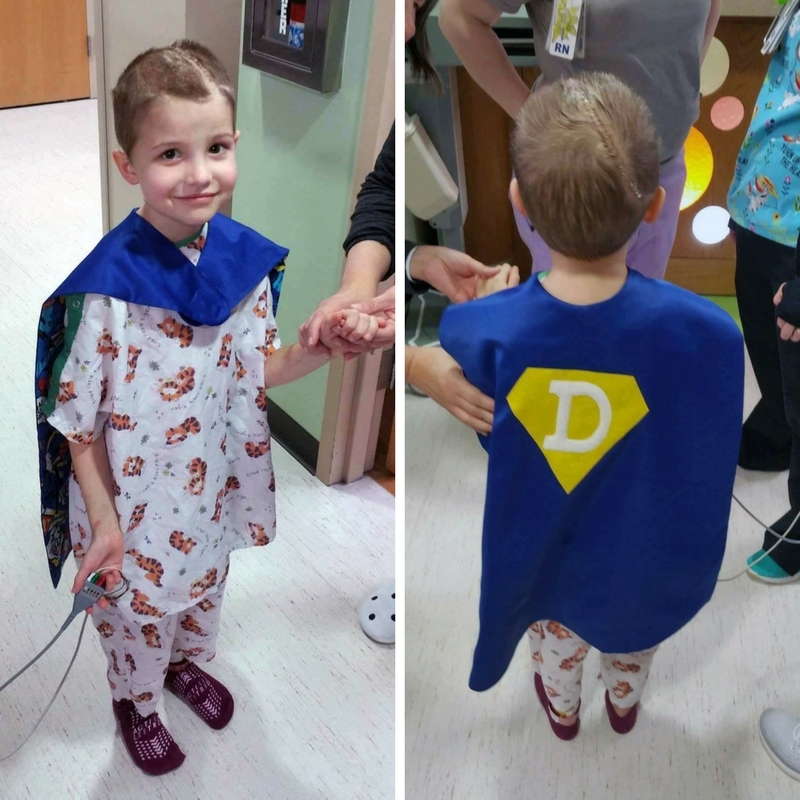 All the doctors who treated Dominic were truly all amazing – Dr. McGregor, Dr. Hughes, Dr. (Blaise) Congeni, and Dr. Lickliter. Dominic will be turning 7 on Oct. 11. We are truly blessed that he is doing great. Our family vacation in July — just 4 months after his surgery.